I like to know what are the bible verses about marriage and family. How about you? Would you like to know what great bible verses God has for your family? As a husband or a wife, do you know your roles in a Christian family? As a child, why should you obey your parents? Your Abba Father has great plans to prosper you (Jer 29:11) and give you a long and satisfying life (Psalm 91:16). How many wives should a man have? Well, the man should only have one wife. Below are some bible verses about marriage. When you look back at history or even now, when a man has more than one wife, it causes multiple problems in the family. Why? Because marriage is designed with only one man and one woman in mind. There is an even more important factor that holds a marriage together. What important factor is it? It is the God-factor. I like the version in the Amplified Bible as it is more clear to understand. When love at physical sight fades away, the only factor that will hold a Christian marriage together is God. For in Christ, all things are held together. Since the ancient of days, God said to the woman in Genesis 3:16 "...Your desire shall be for your husband, and he shall rule over you." Even as the Apostle Paul wrote in Ephesians 5:22-25 Wives, submit to your own husbands, as to the LORD. For the husband is head of the wife, as also Christ is head of the church; and He is the Savior of the body. Therefore, just as the church is subject to Christ, so let the wives be to their own husbands in everything. Husbands, love your wives, just as Christ loved the church and gave Himself for her. Wives, submit to your own husbands, as is fitting in the LORD. Husbands, love your wives and do not be bitter toward them. Keep declaring these bible verses about marriage and see fruitfulness in your marriage and family. Declare it, believe it and receive it! ...a prudent wife is from the LORD. Who can find a virtuous wife? For her worth is far above rubies. The heart of her husband safely trusts her; so he will have no lack of gain. Your wife shall be like a fruitful vine in the very heart of your house, your children like olive plants all around the table. You may asked, "Why olive plants?" Olive oil is derived from olive plants. Olive oil is used to light up the lampstand during Moses' time. (Exodus 27:20) It is also used for anointing. 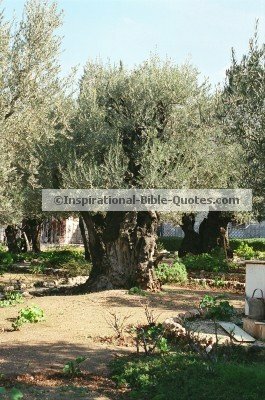 In other words, when your children are like olive plants, they are anointed of the LORD. I like my son to be anointed, don't you? Have you made any plans for further expansion in your family? Expanding to a bigger house or even expand your business? Ask big things from God because He is a BIG God and He loves to give (John 16:24)! Commit your plans to the LORD and He will direct your path (Proverbs 16:3) and make you and your descendants prosperous. Isn't it wonderful? God's desire for your marriage and family is to expand and to enlarge. Is this not one of your desires too? Keep on confessing the Word of God over yourself, your spouse and your children. Confession is possession! So confess the bible verses about marriage and family over your loved ones and see the fulfillment of these promises.